Two Bee(s), or Not Two Bees. Okay, that's really lame . 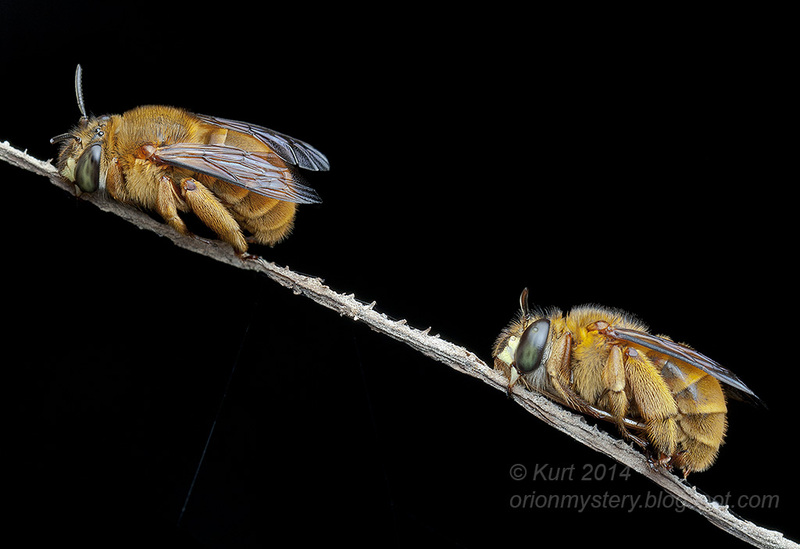 Sleeping bees (Genus: Amegilla; sub-genus: Glossamegilla - info credit: Zestin Soh and Doug Yanega) I found at night. They flew away after just 3 shots . Selangor, Malaysia. An Orthogonius sp. 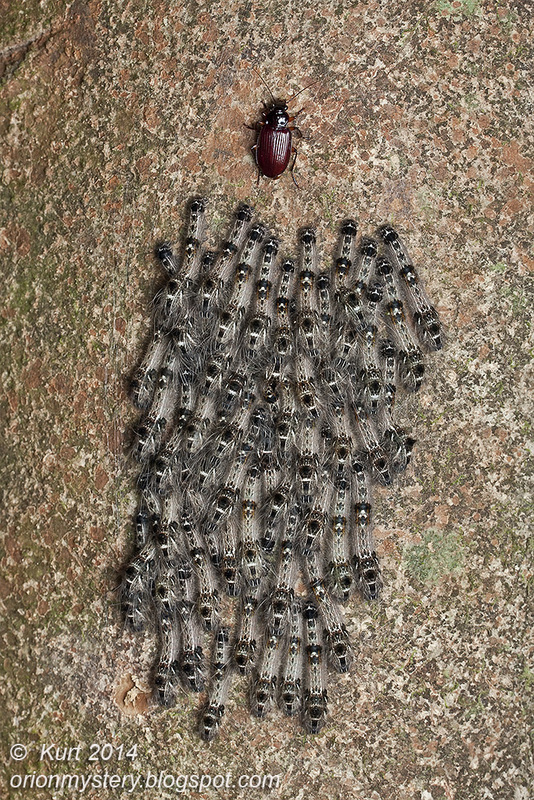 beetle (ID credit: Harald Schillhammer) photobombing a bunch of caterpillars (in cycloalexy arrangement?). The beetle wasn't there when I took the first couple of shots . Night macro, Selangor, Malaysia. Optical fibers . 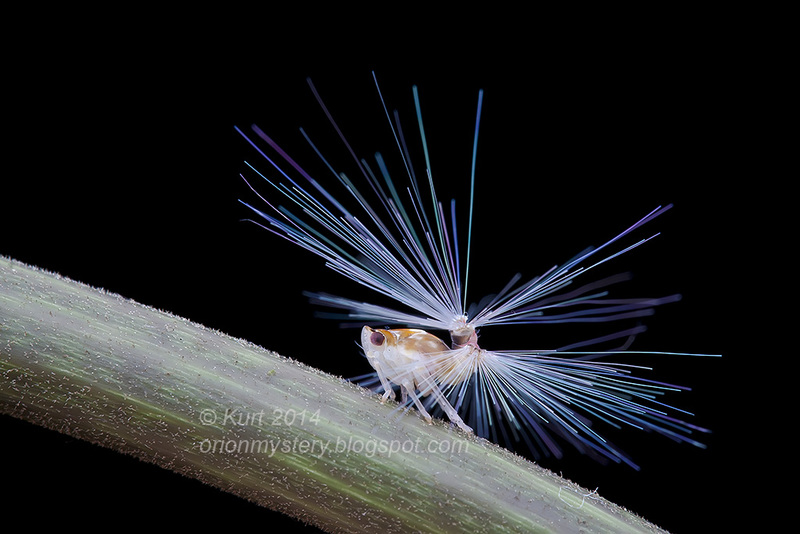 A passion-vineRicaniid planthopper nymph. Night macro, Selangor, Malaysia. 40D, 60mm, diffused 270EX, 1/200, F13, ISO200, night macro, handheld. 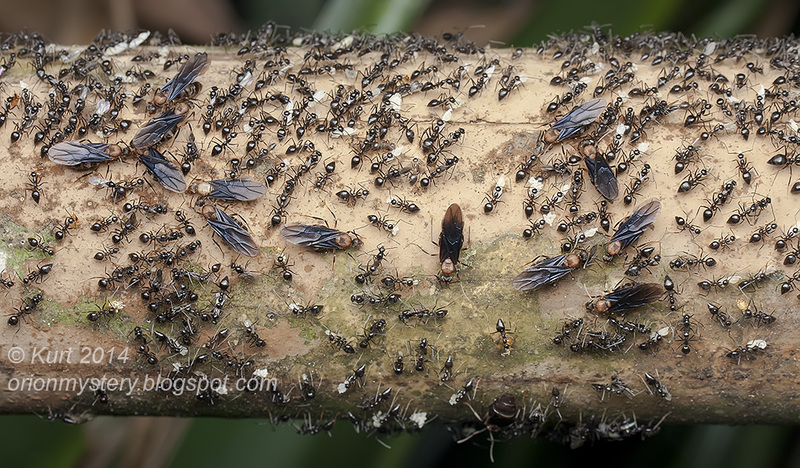 Prenolepis jerdoni ants (ID suggested by Tabby Carroll ) in the midst of moving to a new nest? Some of the workers were carrying larvae and pupae. Night find, Selangor, Malaysia. 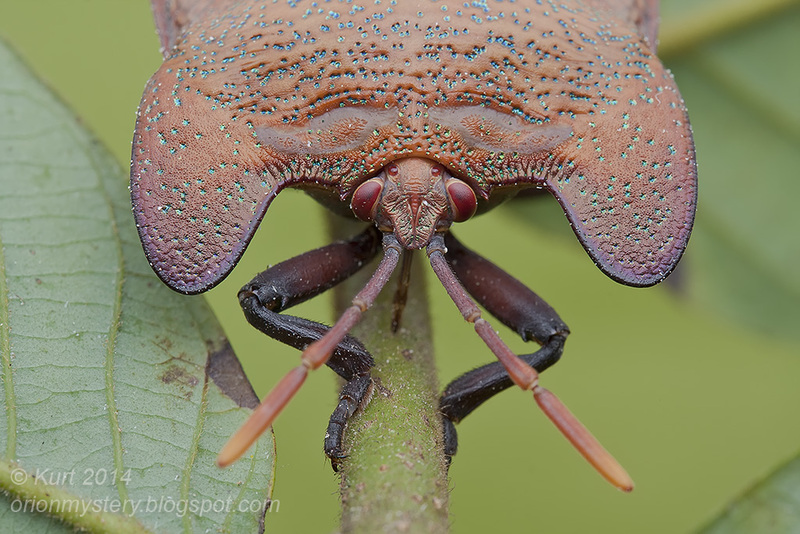 Tessaratomid bug . Night find, Selangor, Malaysia. 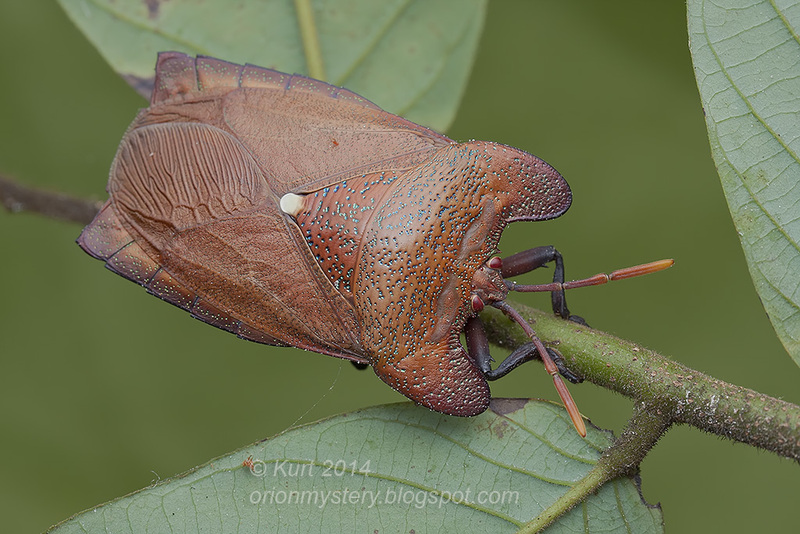 I continue to be unable to imagine taking macro bug photos at night in the rain forest!! If you are eaten by a jaguar or something one night, please have one of your friends let the forum know!!! Phil - that'd be awesome. I've always wanted to macro cat eyes....and jaguar would be perfect! Great set Kurt, I really like the two bees. Shame you woke them up though! That beetle and caterpillars is also great. Nice find there. Most interesting photos as always, Kurt! The lighting of the fibres on that planthopper is just excellent!